In this highly competitive market it is absolutely essential to choose the right agent to represent you, as this is one of the biggest investments you’ll ever make. David has built a team of skilled professionals ready to put in the effort and use their extensive knowledge of the local market to find your home and negotiate on your behalf. With David managing the process, our buyers’ agents are able to gather information about your needs, look at the inventory and bring you quality properties. The Troyer Group strives to make this complex process as easy as possible for you. If you are ready to find your dream home, contact us today. In 2011 Mini joined the Troyer Group and in 2015 she was recognized for being in the top 1 percent of Realtors nationwide. Her love for real estate and knowledge of construction and the market has helped her gain this achievement. Mini Kalkat has been involved in all aspects of Real Estate for the last 20 plus years. Born and raised in Boston, Lisa has lived and worked in the Bay Area for over 30 years. Her passion for the real estate industry began as a small child swinging a hammer with her father on properties he built, managed, and sold. 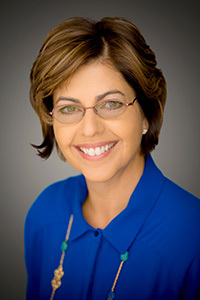 Lisa’s career started in commercial real estate finance in 1984. Prior to joining The Troyer Group, she committed over 25 years as a mortgage loan consultant, beginning with Home Savings of America. 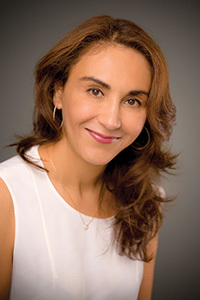 Lisa is a graduate of Bentley College, where she earned her B.S. in Finance. She brings a wealth of experience and knowledge to our team. Highly-motivated, Lisa brings with her the passion and dedication she has for finding her clients the perfect home and ensuring exceptional client service. Eric is a Bay Area native, born and raised in the South Bay. He is a member of the California State Bar, having practiced law for many years before deciding to refocus his career over 15 years ago to the real estate industry. Eric started as a mortgage loan consultant with Washington Mutual Bank in 2001. He earned a B.S. in Engineering from UC Berkeley and a J.D. degree from Golden Gate University School of Law in San Francisco. Eric grew up in Cupertino and lives in Campbell. He loves sports of all kinds, and is active in the Children’s Musical Theater San Jose, Westmont High School Boosters, and Central Valley Earthquakes Soccer Club. Eric loves volunteering in the many activities his family enjoys. 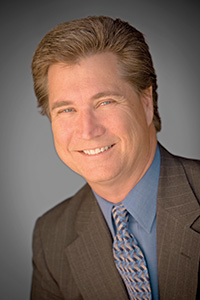 Eric holds professional licenses with the California Bureau of Real Estate, Broker License (#01378595), the State Bar of California (#195552), the U.S. Patent and Trademark Office (#48890), and the National Mortgage Licensing System (#347661). 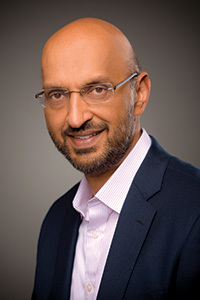 Kuljeet Kalkat’s love for the real estate industry brought him to join The Troyer Group in 2015 after a successful career in the tech industry. His clients benefit from his understanding and knowledge of planning regulations, financial modeling of investment properties, project management, and remodeling expertise. His passion for real estate started in Chevy Chase, Maryland in the late 80s, where he won an award for remodeling a historic home. Kuljeet graduated with a B.Sc. from University of Maryland and an MBA from Carnegie Melon University. Kuljeet currently serves on the Financial Commission for the City of Los Altos and spends his spare time planning gardens for his clients. Liz grew up in Los Altos, attended public schools here and Stanford University. 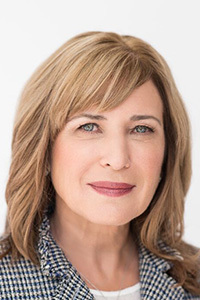 With a strong background in technology product management and launch for complex scientific instrumentation, Liz utilizes her project management and negotiating skills in real estate to make sure that her clients’ goals are met. Liz knows that beginning with clear communication and understanding of client needs, musts and wants is key to a successful transaction. She feels that every property transaction has a ‘lifecycle’ with key milestones that must be well defined and understood by the team. The nucleus of the team are the clients and the key functional members are the experts that make up the Troyer Team. With a combined 100+ years of expertise, the Troyer Team is made up of experts who make sure milestones are met, on time, within budget -- assuring that clients are pleased with the final ‘product’. Every client success is our triumph. We believe our clients deserve the best! Liz lives in Los Altos with her husband Peter where they raise two sons. Together, they enjoy hiking local trails as well as many other outdoor pursuits. Liz believes in giving back to her community through a variety of past and current volunteer activities with the American Cancer Society/Prostate Cancer Initiative, The Career Closet (past Board Member), and donating her own paintings for auction to Between Horses and Humans. Her next venture giving back will begin soon with Hidden Villa in Los Altos Hills.